Looking strictly in terms of length, the track is small by prog rock standards but still lyrically and melodically strong (and far longer than most hit singles), particularly in the vocal harmonies shared by the Gardner brothers during the chorus ("Now listen son/take a quantum leap / Life is hard to hold / Even harder to keep") and the keyboards that take a prominent place to the ear. It's hard to avoid comparisons to Kansas while hearing this song, especially after just having heard the band cover "Dust in the Wind" so amazingly. 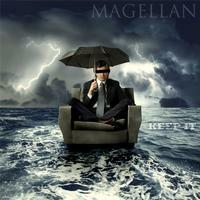 It really does seem that Magellan is channeling one of their major influences, but it doesn't detract from the strength of the song.